This web page will be updated over the Christmas period to provide a diary of the observations made at the Jodrell Bank Observatory of the Beagle 2 lander. Beagle 2 is scheduled to land on Mars at 2:54 am on Christmas morning. An attempt will be made to establish communications with the lander at about 5 am through an orbiting spacecraft called Mars Odyssey. At 7:15 am, our time, the Sun will set on Beagle 2 and it will spend its first night on the surface until sunrise at at just after 8pm our time. At 10:40 pm it will begin to transmit an on/off sequence each minute - like very slow Morse Code - and about nearly 9 minutes later the signals should reach Earth after a journey of 98 million miles. 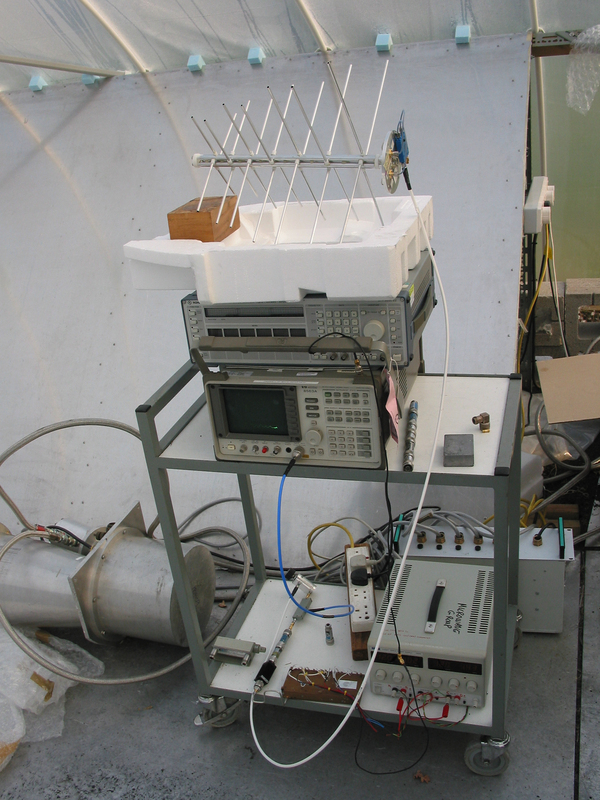 The transmitter power, at 5 watts, is little more than that of a mobile phone, but we have installed what is probably the most sensitive receiver ever built at the Beagle 2 frequency on the 76m Lovell Telescope. It is incorporating two new filters made of high temperature superconducting material to remove interference from terrestrial signals whilst allowing the very weak Beagle 2 signal to pass undiminished. These have been especially made for us by the Emerging Device Technology Research Centre of the University of Birmingham. A graphical display will allow us to observe the band where we expect to receive the Beagle II signal and hopefully show its presence soon after the signals are expected to arrive. Assuming that the signal strength is close to what is expected, a positive confirmation could come soon after, but more analysis of the data may be required if only a very weak signal is present. This might, for example, be a result of the lander being on its side so the signal transmitted to Earth is less than we expect. Two further communication sessions are programmed for 11:20 pm on Boxing Day and at 11:16 pm on the 27th December. No signals were received on the evening of the 27th, and none have been received so far this evening. Long blocks of data are being integrated up to give an effective increase in sensitivity of about 2. This processing has been carried out in near real-time tonight and last night. Mars will shortly be on the horizon here and observations will cease soon after midnight. This is the last night in the current observing session as the Beagle 2 landing site will not begin to face the Earth at a reasonable angle until after Mars has set from Cheshire. The Beagle2 Team at Jodrell Bank are sad that they have been unable to detect the lander and hope that a simple clock error might be the cause. They wish the project scientists well as further attempts are made to contact Beagle 2, particularly when Mars Express is able to overfly the landing site and use a proven communications link. 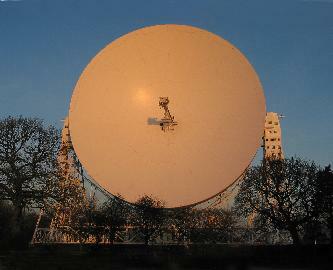 On Boxing Day the Lovell Telescope continued observations until Mars set at Jodrell Bank shortly after midnight. (00:15 December 27th) No signals that could have originated from Beagle 2 were observed in real time. Further analysis of the archived data is currently being processed. We are looking for a CW signal that is on for 10 seconds and off for 50 seconds in each minute. The low duty cycle of the transmitter is to conserve power and prevent over-heating of the transmitter. This actually makes it easier to distinguish from low level interference which tends to be on continuously. We also expect the signal to be slightly drifting in frequency due to the changing relative velocity of the Beagle 2 landing site with respect to Jodrell Bank. 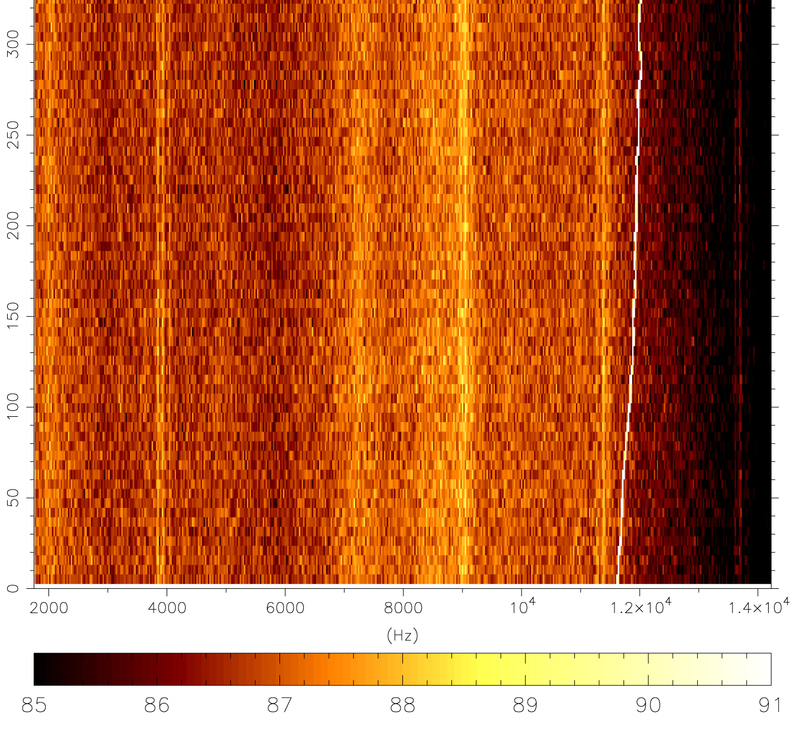 This causes a Doppler shift of approximately 20 KHz down in frequency from that transmitted by Beagle 2. A further cause of frequency drift is a result of the changing temperature of the crystal controlled oscillator in Beagle 2. Observations of Mars, indispersed with test observations, began shortly after Mars rose at ~ 13:00 UT on the 27th and will again continue until Mars sets around midnight. 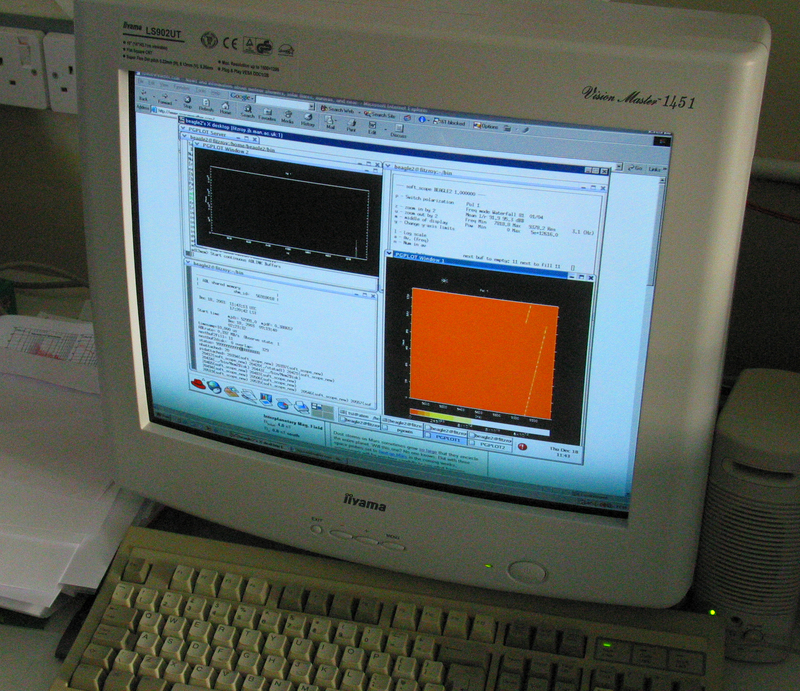 The digital receiver system is analysing a band of frequencies centered on the expected received frequency with a frequuency resolution of 1 Hz. As now reported in the press, the Lovell Telescope did not observe a signal from Beagle 2 during the observing session that took place in the late evening of Christmas Day. In case the clock on the Beagle 2 is in error, and thus the signal was not being transmitted at the expected time - which was one possible reason for the lack of contack with Mars Odyssey - the telescope made observations for the whole time that the Beagle 2 landing site was visible from the Jodrell Bank Observatory. This was from 6 pm, when the landing site came into view on the Martian surface until midnight when Mars set in the West as seen from Cheshire. During the latter part of the observations with the telescope at low elevation, interference from Earth based transmitters became more apparent, but this should not have prevented a detection had the Beagle 2 signal been as expected. Observations began at 17:30 UT on Boxing Day and the telescope will again follow Mars until it sets close to midnight. As well as real time displays, as outlined below, which should be able to show a signal of the expected signal strength, all data is being archived to enable further analysis to take place which might uncover a weaker signal. Diary of the Observations from the ground testing of the complete system with a Beagle 2 transmitter. The Beagle 2 flight-spare transmitter (on bottom shelf) and test antenna. 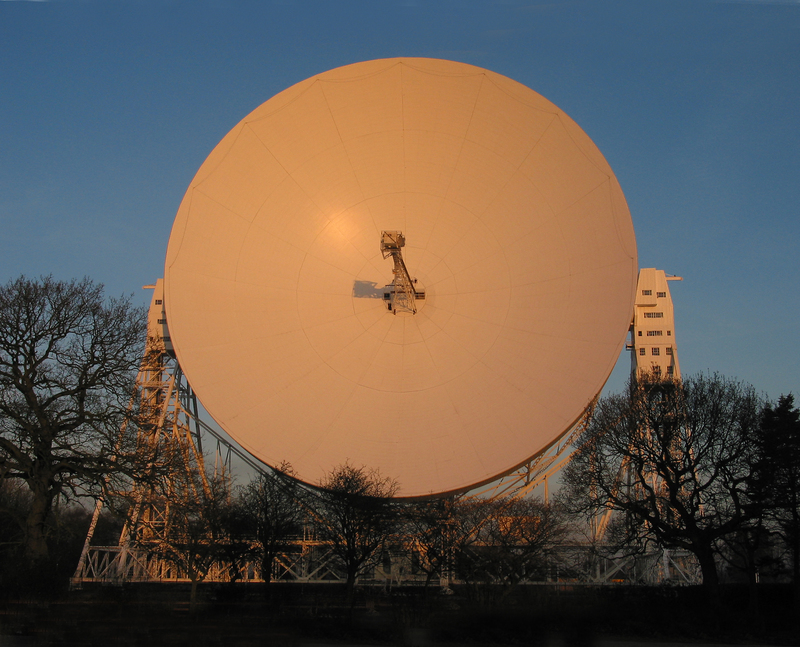 A Beagle 2 spare transmitter was brought to Jodrell Bank to carry out an end to test of the JBO receiver system on the ground prior to installation on the Lovell Telescope. 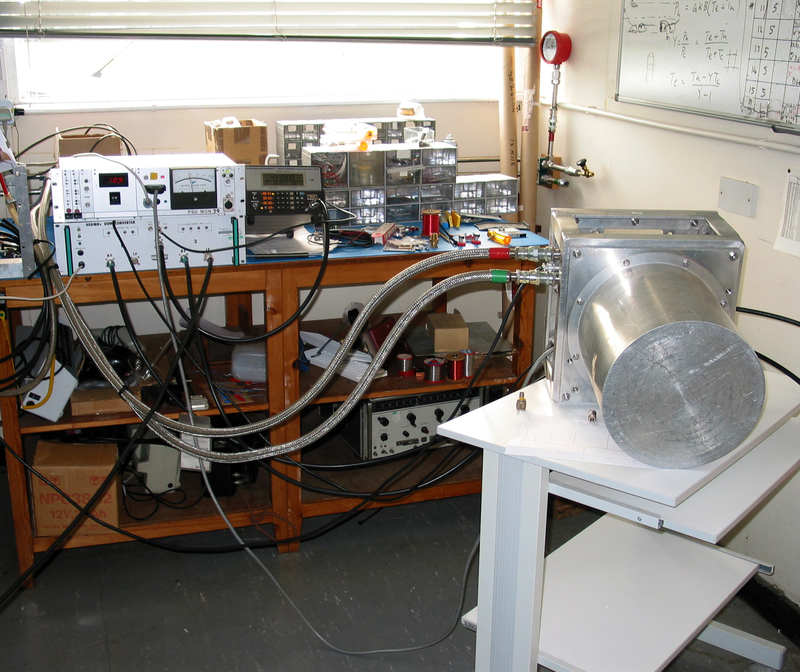 The 401 MHz cryostat is seen here attached to the Helium pipes which supply compressed Helium to the refrigeration unit which is used to cool the interior of the cryostat to -260C, just 13 degrees above absolute zero. This reduces the noise generated within the amplifiers, so improving their sensitivity, but has also allowed the use of two high temperature superconducting filters to be included. These preceed the amplifiers, and with a bandwidth of just 1.5 MHz remove interference from nearby local transmitters that would otherwise possibly swamp the Beagle 2 signal. Normally filters of this complexity would introduce significant loss - reducing the signal from Beagle 2 - but, being made of superconducting material which has virtually no resistance, these filters have virtually no loss and so will allow the Beagle 2 signal to be received without attenuation. 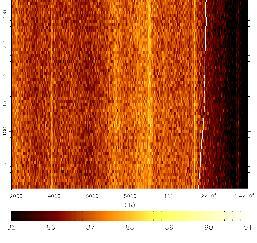 1) An instantaneous view of the band showing any signals which are significantly above the noise background. If the Beagle 2 signal is at the upper end of the predicted range of signal strengths it may just be possible to observe the Beagle 2 signal from Mars in this screen. This is shown as the "black" box on the upper right side of the screen. 2) A "waterfall display" which along its x-axis plots each second's data as signal intensity across the band. The y axis is time. A signal at a fixed frequency will produce a vertical line on such a plot, and it is quite easy to detect a signal that is barely above the background noise level. We expect that the signal from Beagle 2 will be changing gradually in frequency as Beagle warms up in the Martian day and also due to changes in the relative motion between Beagle 2 and Jodrell Bank. The "orange" box on the display shows the waterfall plot showing the test Beagle 2 signal as a sloping yellow line. This indicates that the frequency of the transmitted signal was drifting due to changes in temperature. The receiver was mounted on the Lovell Telescope during the morning if the 22nd. 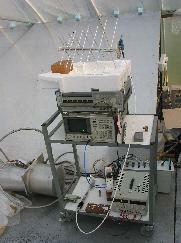 The system was cabled up during the afternoon and the first test observatons of the receiver took place at 5:30pm. We were very pleased to see that the band in which the Beagle 2 signal is expected was very clean and showed little interference. Tests were then made to detect a very weak test signal radiated from the Receiver Laboratory and these proved highly satisfactory. This waterfall display was taken with the Lovell telescope at the zenith where it is open to interference. A strong drifting interference signal is visible on the right of the image as a white line. Further testing of the full system took place on Tuesday. 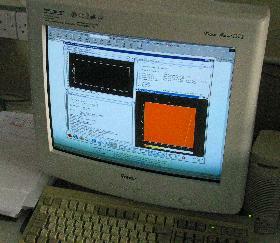 This picture shows the consoles usd to display the left and right hand polarisation data. The RF engineers have simulated a test Beagle 2 signal which is switched on for 10 seconds and off for 50. This signal can be seen just left of centre on the display at 7600 Hz. The "on" period appears somewhat longer as the signal is being averaged with a time constant of a few seconds so delaying the start of the apparent "off" period. Observations of calibration sources such as Cass A were made to test the system sensitivity. Software development continued with improvements to the data archiving programs and work of post analysis software to enable deeper integrations to be made should the signal not be seen in real time. The expected signal strength will depend on the orientation of the spacecraft antenna with respect to Earth. We will be observing Beagle 2 on the surface whilst it is facing Earth. If the spacecraft is flat of the surface, with its maximum signal transmitted vertically, then our received signal should be 10 or more dB's above the noise level and should be easily detectable.